Blockbusting refers to the practice of introducing African American homeowners into previously all white neighborhoods in order to spark rapid white flight and housing price decline. Real estate speculators have historically used this technique to profit from prejudice-driven market instability. After intentionally placing an African American homeowner onto a block, speculators solicited white owners with tales of impending depreciation. Fearful residents often sold their homes to these speculators well below market value. As white residents began to flee in great numbers, other white residents sold their homes at even lower prices, thus further depressing housing prices in a self-fulfilling prophecy. Middle class African Americans, who were otherwise denied access to previously all-white neighborhoods, were now offered admittance at artificially inflated prices set by the speculators. 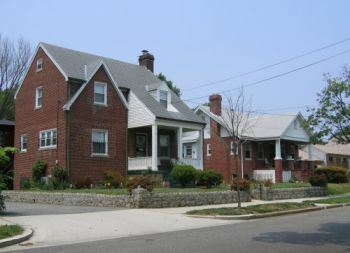 A 1970 report released by a Baltimore group called “the Activists” concluded that the average markup in neighborhoods experiencing racial change ranged from 80% to 100% higher than in racially homogeneous areas and that these inflated prices comprised a “black tax” imposed on African American would-be homebuyers. Given the bleak housing options these buyers faced, many had no other choice and paid the inflated costs. These expenses placed an onerous burden on black homeowners. Already facing steep housing payments, they often found it difficult to get bank loans to make needed repairs on their new homes. Renters in these integrated enclaves faced similar difficulties, notably substandard living conditions imposed by slumlords who viewed these properties as expendable commodities ripe for exploitation. These problems exacerbated declining housing prices and equity loss. Blockbusting also carried additional consequences beyond the immediate neighborhood. As more blacks moved in an area, an equal proportion of whites moved out, thereby stimulating demand for additional white-only housing in other areas of the city or in suburbs. Developers and mainline realtors who often publicly condemned blockbusting as unethical nonetheless benefited from it as they found new buyers for homes constructed far beyond the perceived “blighted” neighborhoods. Furthermore the growth of these suburbs meant steadily declining municipal tax revenues as the urban housing stock lost value. The decline in municipal revenues reduced services and led to increased taxes on remaining residents, often making these neighborhoods even less attractive to prospective homebuyers of any race. Although blockbusting emerged at the beginning of the 20th century, the practice was most pervasive in the decades immediately following World War II. It was ostensibly outlawed with the passage of the Civil Rights Act (Fair Housing Act) of 1968. Nonetheless, blockbusting and similar practices persisted well beyond the enactment of the law. Kevin Fox Gotham, Race, Real Estate, and Uneven Development: The Kansas City Experience, 1900-2000 (Albany: State University of New York Press, 2002); W. Edward Orser, Blockbusting in Baltimore: The Edmondson Village Story (Lexington: University of Kentucky Press, 1994); Amanda L. Seligman, Block by Block: Neighborhoods and Public Policy on Chicago’s West Side (Chicago: University of Chicago Press, 2005).